How can you fail to love an album that sums up all of human romantic complexity in one sentence? “We howl for love.” We do. We date, we wingman, we’re set up by friends, we wait by the phone, we agonize over text messages, we break up, we give out our number, we start all over again. Love is complex. Romance is complex. Relationships are complex. 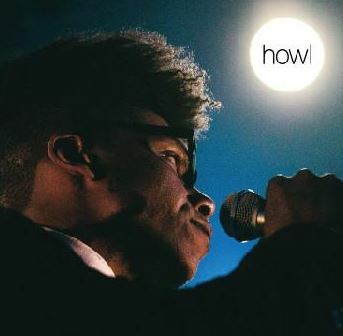 JC Brooks & The Uptown Sound boils it down into one universal sentiment and one heart-rending howl. We howl for love. Brooks might be the only crooner on earth who can get away with literally howling on his album. On anyone else it’s overplayed, but with him it just seems a natural extension of his sentiments. “Howl” is a strong start to a strong album. The post-punk R&B group bare their souls on their third studio album which ranges the musical gamut from the lovely ballad-style “River” to the funk-driven “Rouse Yourself” to the more electrified “These Things.” While the intro “Howl” sets the tone for the album, exploring themes of the dark side of love and doubt, the standout piece is “River.” While the token ballad piece in most albums seem more like a conciliatory nod to the necessity of showing your musical range, for JCBUS it simply plays to all the band’s strengths – it leans on the power of the lead singer’s voice (I can hardly justify calling it a voice – the man doesn’t sing – he really does, simply stated, just croon), it relies on the band’s ability to put forth emotion without ranging into the territory of sappy, and it hinges on creating a slow song that still captures and keeps the listener’s interest. Check, check and check for JCBUS – they make it look easy. “Howl” which was produced in the Hotel2Tango in Montreal with Howard Bilerman (who has also worked with Arcade Fire and Godspeed You! Black Emperor) might not be the most cohesive album, but it certainly shows off the band’s creativity and enthusiasm. Especially coming from a group that, it could be argued, is best known for their cover of Wilco’s “I am Trying to Break Your Heart”, this album is a welcome offering of fresh material. With a band like this, obviously bursting at the seams with talent and ingenuity, they really should be best known for their own creations, and with an album like this I’ve no doubt they will be. This is the finest album review ever written. I’ve been streaming the album all week. Mega addictive. If you don’t dance while listening to parts of this album, then something is wrong with you.